Due to the rampancy of credit card and identity theft, there are a number of media outlets, government organizations and private companies urging people to take sometimes-complicated and/or costly steps to protect their identities. Sometimes we don’t have the knowhow to implement these protective measures; sometimes we don’t have the resources, and sometimes we just downright forget. Experts are not oblivious to this fact. They have been hard at work, and there is now technology that, they hope, will make credit card theft a virtually fruitless endeavor. Most newly issued credit cards have a newer technology that allows you to swipe your card without making contact with the machine. This technology, known as radio-frequency identification (RFID), is meant to make card transactions easier and more efficient, but, of course, it has opened the floodgates to a new wave of credit card thieving tactics. Thieves can purchase inexpensive scanners that capture your card’s information without your knowledge. As a quick and easy solution to this problem, wallets lined with materials that block RFID signals from being scanned were invented. These wallets are inexpensive, easy to find and come in all shapes and sizes. The primary security technology expected to soon dominate the credit card industry is known as chip-and-PIN technology. With it, digital credit card thieves equipped with magnetic stripe copying technology will find it impossible to copy the information from chip-and-PIN secured cards. Just as the name suggests, these cards are equipped with a highly encrypted security chip that prevents the copying of credit card information by any but the most sophisticated hackers. In addition to the chip security system, these cards require a debit-card-like pin to complete transactions, so you can rest assured that even if a quick-minded thief memorizes the numbers on your card, they won’t be able to use it. This technology is already ubiquitous in Europe, with countries like France seeing an astonishing 50 percent reduction in credit card fraud as a direct result of chip-and-PIN technology. Although this technology has not yet flooded U.S. markets, American chip-and-PIN cards do exist; with a growing demand from experts and consumers to speed up adoption of the technology, you should soon be using a chip-and-PIN credit card if you aren’t already. Chip-and-PIN technology is not the only digital advance in the works to keep your credit cards safe. A new tool known as display-card technology is soon expected to wrap the credit card industry in a nearly impenetrable veil of protection. With the futuristic display-card technology, your credit card takes on a PDA-like quality, with a digital screen only displaying the information you want to be seen at a given time. This means that you don’t have to worry about publicly displaying your credit card number to thieves, but you can still retrieve it for the purposes of online shopping. While these innovations will go a long way in protecting people from the current capabilities of thieves, the methods thieves use to swindle you out of your hard-earned money are always progressing. It is always going to be a good idea to keep your cards out of sight whenever possible and to pay close attention to your charges. 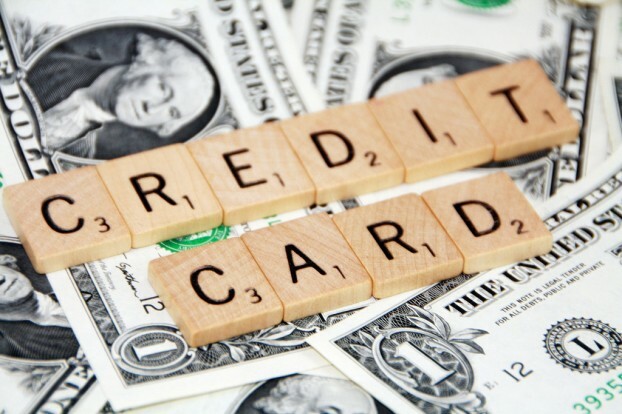 Additionally, credit card theft is only part of the problem; identity theft, which is when someone steals your personal information to obtain new credit cards and loans, is still a serious risk, so take precautions! Herbie Evanston is a freelance writer based in Springfield, Illinois. Herbie normally writes on credit card security, computer security, intellectual property, identity theft and other kindred issues; readers concerned about these issues may want to view information from Protectyourbubble.com ID theft. Image credit goes to 401(K) 2013. Previous story Are Women Really More Tidy Than Men?